It could be because I just ate another piece of my daughter's birthday cake, but I am feeling the love of sweet treats at the moment. 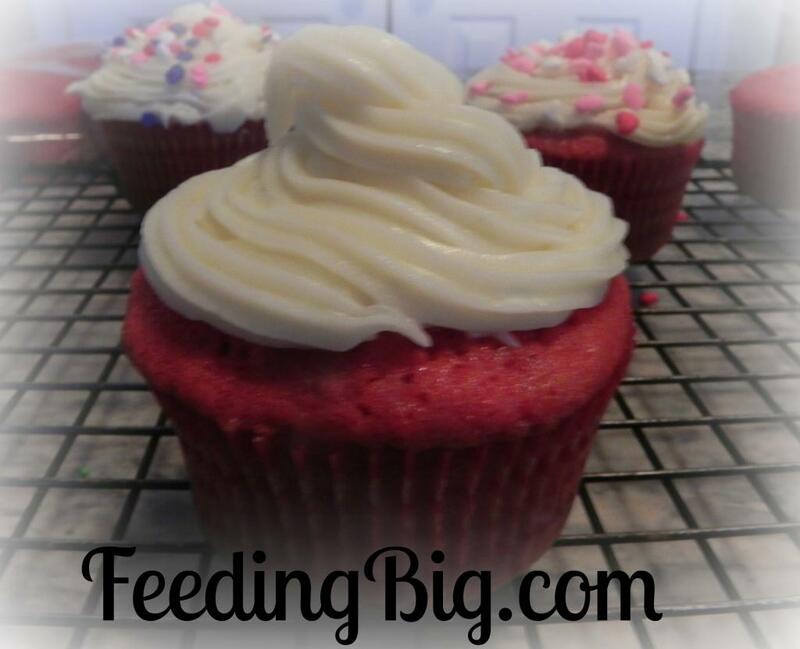 When I saw the red velvet cupcakes from Cynthia at Feeding Big, I knew I had my Dare to Share Feature of the Day. I love red velvet and cupcakes, so to have them put together it was a can't miss for me. The color of these cupcakes would make them perfect for Valentine's Day. Be sure to stop by Feeding Big HERE, to see this wonderful recipe. Thank you so much for linking up to Dare to Share Cynthia! Oh My Gosh! I am so excited to be a Feature of the Day! These are the best cupcakes in the world! I am off to tell everyone that I was featured!